Did you know that eggs are the chicken’s reproduction waste – the equivalent of women’s menstruation in humans? If you did, you’d probably be grossed out by the idea. But eggs are actually very good for you. Britain consumes about 11 billion eggs per year. We eat eggs like nobody’s business. And to think that eggs could have been hazardous to our health a couple of decades ago seems very strange. Eggs have had their fair share of ups and downs in the popularity stakes. The risk of salmonella and other bacteria spreading in eggs was widespread in the late 20th-Century, until the British Lion scheme in 1998 saw hens vaccinated against salmonella. Then came the 90s, when the high cholesterol content in egg yolk was seen as detrimental to good health. People believed that consumption of foods that were high in cholesterol was causing high cholesterol in their bodies. One egg yolk contains 448mg of cholesterol, well above the average daily amount of 290mg for women. A study by the University of Washington found that feeding people with high blood cholesterol levels two eggs a day, combined with a low-fat diet, raised their cholesterol level only very slightly. But half the rise was in HDL cholesterol – the ‘good’ type – that can help keep your arteries clean rather than clog them up. The cause of high cholesterol is saturated fat, in which eggs are very low. Eggs are powerful despite their thin fragility. They contain certain nutrients that protect your eyes against age-related blindness. (The condition, called age-related macula degeneration (ARMD), accounts for 50 per cent of all blindness and sight problems in the UK.) This happens when light-sensitive cells of the macula – part of the retina at the back of your eye – becomes damaged and you lose the ability to see colours or objects properly. Egg yolk has a nutrient called lutein which protects the eyes, and lutein is not found in the body. Leafy green vegetables like spinach, broccoli and kale also contain lutein apparently. Eggs are also a wonderful source of omega-3 fats (the healthy fats), which can have significant benefits for the heart and blood vessels. 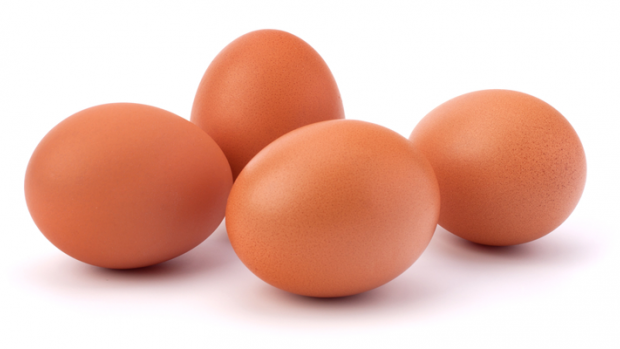 And of course, 1 egg contains a massive amount of protein – 13g! The British Nutrition Foundation says if you have a normal cholesterol level and are eating a balanced diet, you can safely eat one egg a day without adversely affecting your blood cholesterol levels. The American Heart Association also allows one egg per day, but the British Heart Foundation still says you should only have between two and four eggs every week. An egg a day won’t kill you – far from it, it can do you good – if you have a healthy diet and do exercise regularly. But what will kill you is a high amount of saturated fat and an unhealthy lifestyle with 0 exercise. An oeuf a day is a good measure for keeping the doctor away I’d say. Next Why do we eat unhealthily?